H. Rick Bamman - hbamman@shawmedia.com On his way to a client meeting at his in his Schaumburg office, Gary Rabine owner of Rabine Paving talks on the phone with a long-time friend. Rabine created True Mentors, and mentoring program for young people . 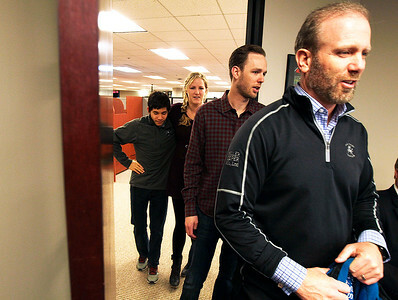 H. Rick Bamman - hbamman@shawmedia.com Gary Rabine, (right) owner of Rabine Paving leads his children (from left) Nik, Janelle and Austin, into his office in Schaumburg. Rabine created True Mentors, a mentoring program for young people. 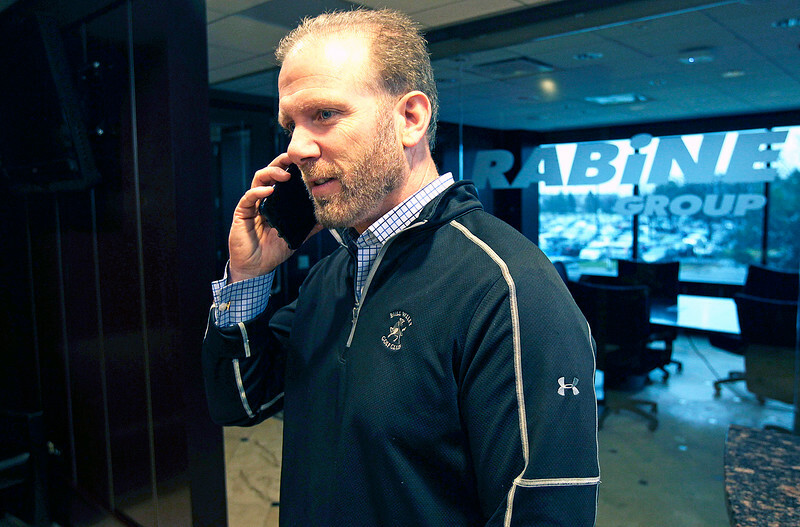 On his way to a client meeting at his in his Schaumburg office, Gary Rabine owner of Rabine Paving talks on the phone with a long-time friend. Rabine created True Mentors, and mentoring program for young people .